The District Park at Tughlaqabad (Tehkhand Phase II) is located in the Southern Ridge and spreads over an area of 200 acres. 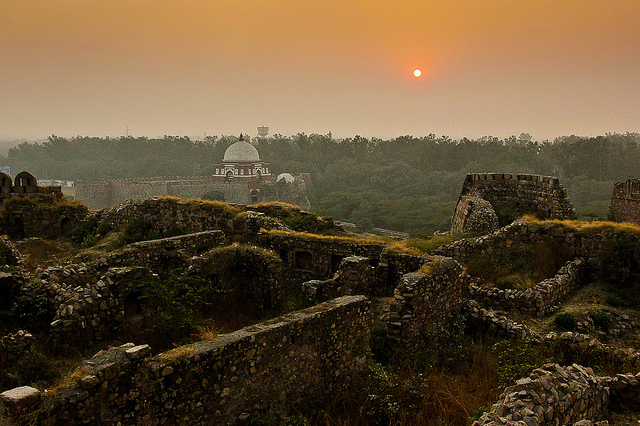 Recently the Tughlaqabad District Park has been notified as Tughlaqabad Biodiversity Park by the Delhi Development Authority (DDA) on the direction of Hon’ble High Court of Delhi. This year, the Tughlaqabad Biodiversity Park is celebrating the World Environment Day on 5th June. The World Environment Day is a great annual event worldwide and is celebrated to raise awareness about environmental issues and to conserve nature and natural resources. The theme of this year’s World Environment Day is Connecting People to Nature. World Environment Day celebrations at Tughlaqabad Biodiversity Park will be attended by school/ college students, experts from diverse backgrounds, local politicians and other public figures. The Park has also extended an invitation to all citizens who would be interested to visit on Environment Day. The Tughlaqabad Biodiversity Park is being jointly developed by DDA and the Centre for Environmental Management of Degraded Ecosystems (CEMDE), University of Delhi and in addition to developing the Biodiversity Park, the joint collaboration is also working to ensure purification of sewage water by constructed wetland system at Tughlaqabad.